NEW YORK, OCT. 25, 2008—Albert Einstein is one of the most universally recognized figures in the world. Yet few know how the man with the shock of white hair and thoughtful eyes shot from obscurity to become an icon whose very name is synonymous with genius. The 2-hour special EINSTEIN tells the fascinating story of that transformation. Stuck in a low-level job and failing marriage, Einstein develops—in his spare time—revolutionary ideas that will change the way we understand the universe. Struggling against all odds to fulfill his destiny, the young genius weathers a devastating war, a tumultuous personal life, and betrayal by his peers. But the greatest challenge of his life is convincing a skeptical scientific community of the accuracy of his strangest and most far-reaching idea—the Theory of General Relativity. The special EINSTEIN premieres on Monday, November 17 at 9-11pm ET on History™. Amidst the chaos of World War I, only a few scientists initially receive word of Einstein’s revolutionary theory. But in time, three teams of ambitious astronomers—German, British and American—find themselves racing each other to the far corners of the globe. Their goal: to hunt and record an elusive ripple in space-time that will prove Einstein’s theory, and that can only be found in the blackness of a total solar eclipse—nature’s rarest spectacle. But the universe doesn’t give up its secrets without a fight. Years of obstacles will emerge to keep the prize beyond reach, including war, imprisonment, and even a ploy by a rival to scoop Einstein. But when a blazing glimpse of Einstein’s universe is finally captured on film, the humble professor’s standing as the brightest star in the scientific firmament is finally assured. 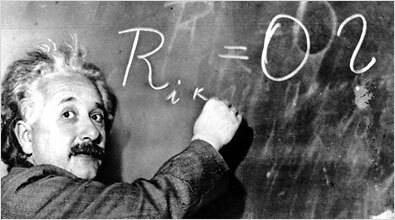 Today, more than a century since the “Miracle Year” in which he published many of his breakthrough papers, Einstein’s ideas remain a living, vibrant influence. They continue to push scientists farther, and deeper, into the universe than even he could have imagined. An international saga, EINSTEIN was filmed in Europe and America at locations such as the historic Lick Observatory in Northern California, where one of the very lenses that were used to prove Einstein’s theory resides, and the Royal Astronomical Society in London, where the handwritten minutes from the meeting where Einstein was vindicated can be seen. Woven throughout the film are interviews with some of the world's leading physicists, astronomers, astrophysicists, science historians and Einstein scholars. Together, they open a window into one of the rarest minds in human history—a mind that was able to see and explain the invisible force of gravity, exploding 200 years of Newtonian thought and, through painstaking trial and error, laying the backbone of modern physics. Upside Down - synopsis. Click here. Phantom - synopsis. Click here. A Better Life - sell sheet. Click here.